My name is Mark Soto and I am the Executive Director of The Honor Group 501c3 nonprofit and the creator of The Honor Bowl Football Showcase. Each year for the past 5 years we bring together the best of the best high school football teams from around the nation to compete and raise money for injured, ill and wounded veterans. Over the years we have been told that we are one of the best high school football showcases in the nation and we are proud to educate students, coaches and community about the needs of our military veterans. In early 2016 we were introduced to IMG Academy. They volunteered to play in our event and we matched them against Corona Centennial. The Corona Centennial Huskies are a California high school out of the inland empire of Southern California and is consistently ranked as one of the top football teams in the nation. We knew this match up was going to be a great game to start the year and man we did not disappoint. The game was a barn burner with back to back flip flop scoring and huge plays from many of the star athletes on each side of the ball. At the end of the 60 minute battle, IMG Academy won in the final .20 seconds of the game 50-49. Respect was earned and there were many media in attendance and fans that called this game the best high school football game they have ever seen. We plan on replaying this game again in the finale of the 2017 Honor Bowl to be played at our new home in San Diego at Cathedral Catholic High School. IMG Academy specializes in training prep athletes who want to go to the next level and there resume of athletes who have moved forward is significant. There football academy in a short time has become highly recognized and many of their athletes are recruited to full ride college offerings. The success of IMG Academy is off the hook but make no mistake there success comes at a significant price that has caused them much grief when it comes to how they are perceived throughout the high school sports and media world. Because of the schools honest recruiting methods they are not able to compete in Florida’s end of the year State Championship Awards which limits them to a ten game playing schedule with no post season accolades. In addition, they have to incur the cost and expense of travel for many of the teams game dates and many teams refuse to play them because they are concerned that there star student athletes will be recognized, scouted and recruited away. There are other reasons too but I am not here to explain them all. I am just here to tell you why I personally appreciate this school and there administration. When we first contracted IMG to play in our 2016 event, as we do with many of the schools who participate in our event, we personally make a trip out to the school. We meet the coaches, the school administration and interview the star athletes. The goal is to educate them about our cause, we explain the history and heart behind our event, we want them to know why they are being invited to participate in The Honor Bowl, the nature of our fundraising and why we work hard every year to put on this rapidly growing military support event. We always leave a school with new friends and the student athletes, coaches and community learn from these site visits that we call “Honor Tours.” We know after a Honor Tour that we leave a school educated about our event and it’s our hope the coaches, administration and student athletes will talk to their friends, fellow athletes, the parents and the community about this early season event that they have been invited to participate in. The Honor Bowl’s motto is, “Its more than just a football game!” And we want the students to wholeheartedly know this. CIF-SS Prep Football Varsity IMG Florida vs Centennial Corona. I remember how huge this was to us to hear this. This meant respect and we quietly agreed and hand shook to their involvement in The Honor Bowl. This non contracted agreement became a handshake bond and I had no idea about the power of this handshake until this week when something actually occurred that caused this agreement to come into play. A disgruntled athlete from a competing school applied to play for IMG. The student athletes parents called IMG and started the application process, but when Coach Kevin Wright from IMG learned that the student was from a competing school playing in The Honor Bowl the coach quickly called me. He told me of the issue and asked for the coaches number from the other team requesting to talk to him. Coach Wright wanted to apologize to the competing coach and let him know he did not pursue the athlete but it was the athletes parent who pursued them. And even if they did have interest in the student athlete the student must have the approval of their head coach to even have possible application discussions. I thought this was one of the most heads up and admirable things I had ever heard. IMG remembered our handshake, respected it and within 10 minutes it was all cleaned up, brought into the open and case closed. Respect is earned not given! I write this short blog not to put IMG on a pedestal and say they are the best things sliced bread. We all know that every school has issues, but I write this blog to give this school who is constantly under the gun, criticized, admonished and critiqued for their international recruiting efforts that I thought it would be nice for someone to pen an alternative point of view. 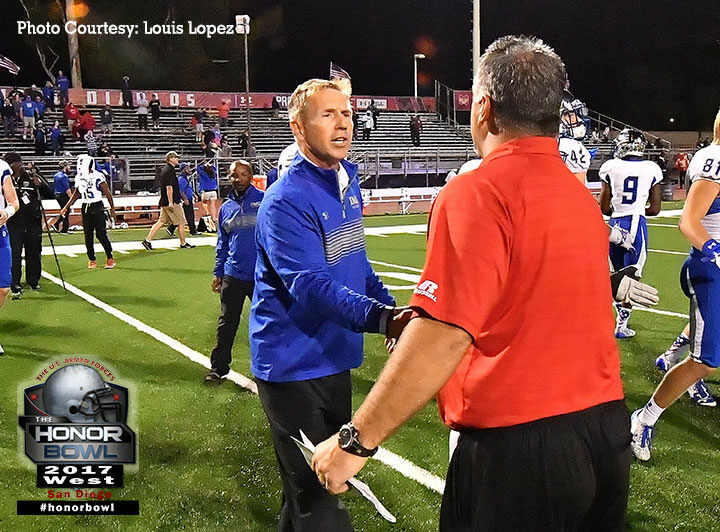 Simply put, there are some stand up guys from the IMG administration to the coaching staff that are good people and truly care about their reputation, how they are seen publicly in the highly competitive world of high school sports and do care for what is best for their student athletes. They earned my respect this week and I appreciate their honesty and thank them for remembering our handshake!